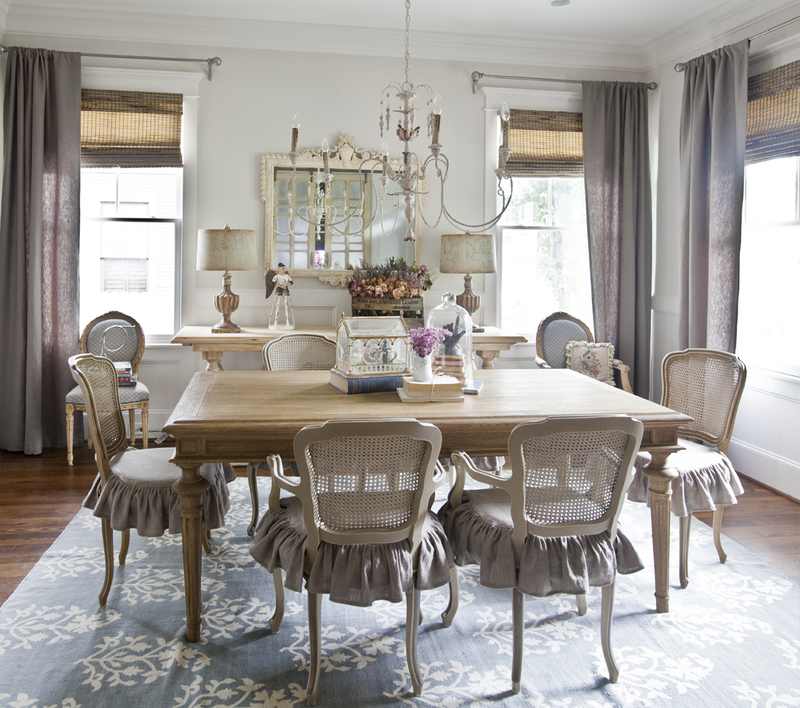 Let’s talk dining rooms. I want you to have an amazing, jaw-dropping, gorgeous room that everyone loves. You know the room. It’s at the house that you love to visit, because it’s just so light and airy, while at the same time warm and inviting. 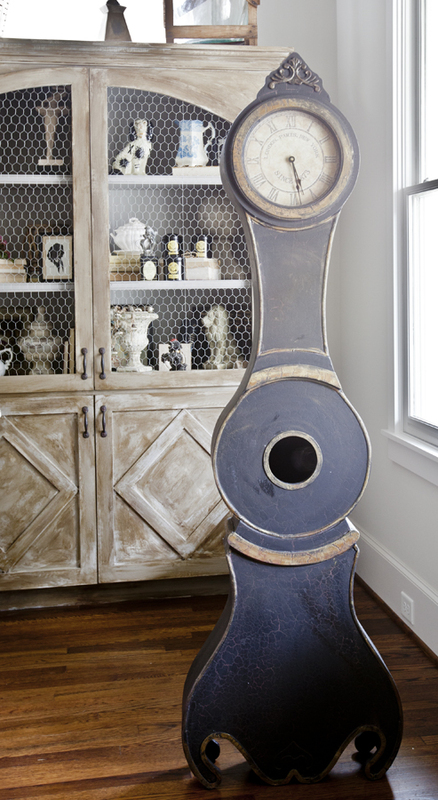 First, I moved this clock into the dining room. I had shown you this clock when I got it from Joss and Main. Since then I painted it. You can read more about that HERE. It was in the living room, it was just getting lost in the shuffle in there. I tried moving it into the foyer, but I wasn’t sure. Then I moved it into the dining room. The old cupboard that was in here got moved to the guest quarters. so I had a bare spot. I really love it in here. Why? It was getting lost in the living room, but in the much smaller dining room, it has pride of place. You see it first thing as you walk in the front door. Because of it’s small footprint, it isn’t in the way in the dining room, but makes a statement, none the less. Another change in here is this fab bench, also from Joss and Main. I bought it using credits from Joss and Main. Here is my affiliate link. JOSS AND MAIN. Using the bench instead of chairs means you can see the table better. Now let’s turn out attention to the table. Here the before. And here is the after. See how you can see the table better when you have a bench in front of the table? BTW, I got tired of my flowers dying, so I am using dried hydrangeas in the dining room these days. They actually look pretty good dried, while some dried flowers definitely look dead. I am using a softer look on the console too, with mostly bottles and cloches. Light and airy works for me. The tall bottle adds height, but you can still see through it, so it doesn’t feel cluttered. The tablecloth throw and the small towel on the chair were provided by Turkish T. I love that fringe!! Their towels are so beautiful and I use them throughout the house. When we atcually use the dining room, it remains to be seen if I will use the bench. I personally like to lean back in my chair, so we’ll see. But for now I love it in the dining room. I am always amazed at how just moving things around makes such a difference. Yes the bench was a new purchase, but still it was very affordable with the loss Joss and Main pricing and with the store credit I earned from referrals. So what did I do with the chairs I moved out of here? Well they went into the breakfast room, and the breakfast room chairs went into the guest quarters… Never mind, I’ll show you later!! So what are my tips for today? 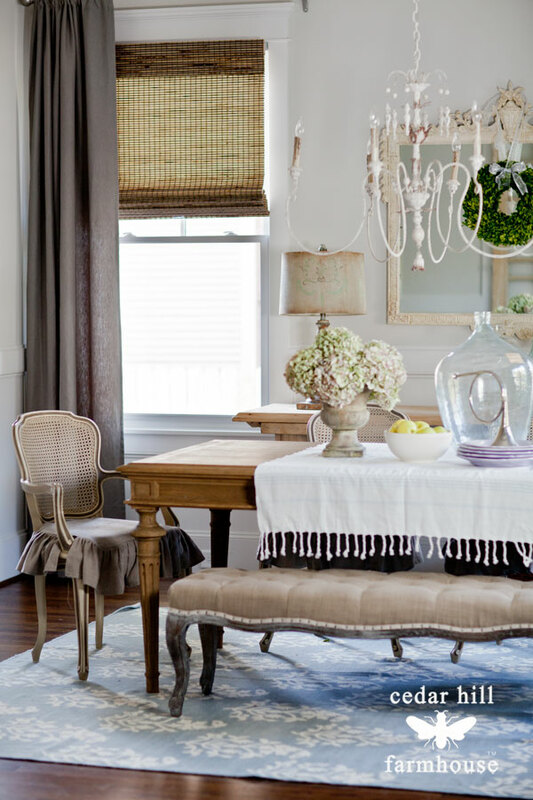 Try adding these 4 things to your dining room. 1. 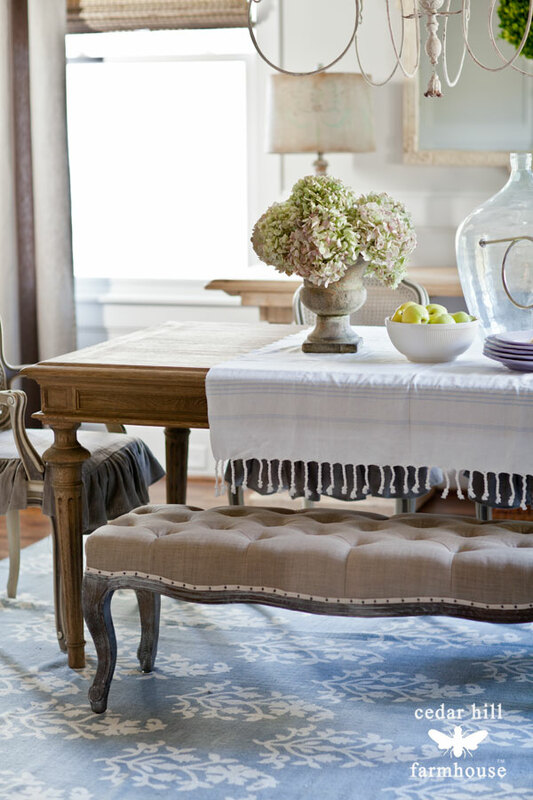 A long bench instead of chairs in your dining room for a fresh open look. 2. Dried hydrangeas to give your room a hint of color. 3. A large bottle to your table to provide height, while still feeling airy. 4. A fringed throw for a fresh new look. So that’s my list. 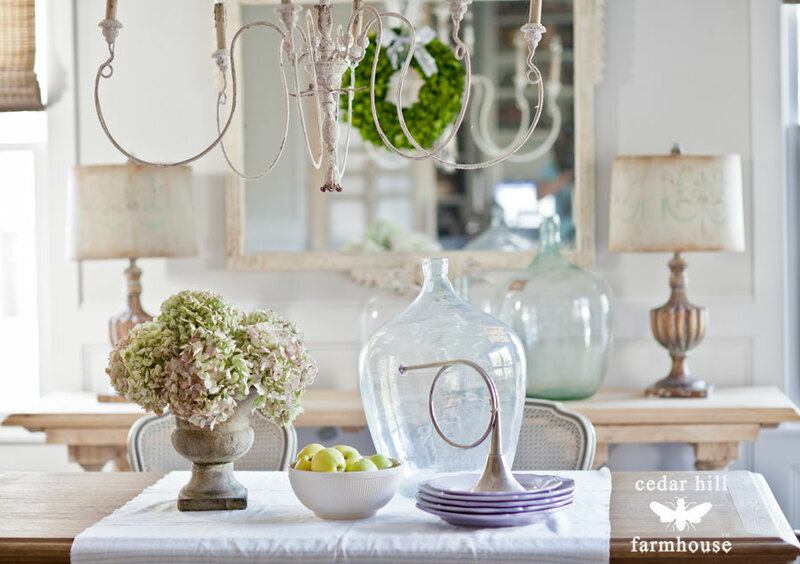 I would love to know what you do to give your dining room a fresh look. Maureen, please contact Turkish T (link in the post) and they will be able to help you with pricing, ordering, etc. Quite lovely, Anita. I want to see all of your everything in person one of these days. I can’t believe the change in the clock. It looks great. 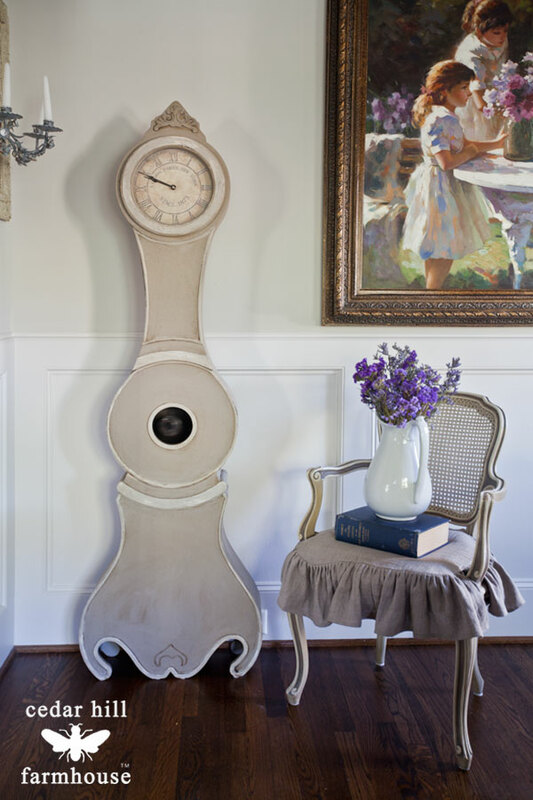 Love the clock in the dining room!…and the bench does make the room feel so very airy…I love that bench!…I have seen it in person in another home and have sat on it and it is very comfortable…I wouldn’t mind sitting on it while dining…i love the bottle on the table and may have to just snag your idea and place one on mine!!! Have a great weekend Anita!!! 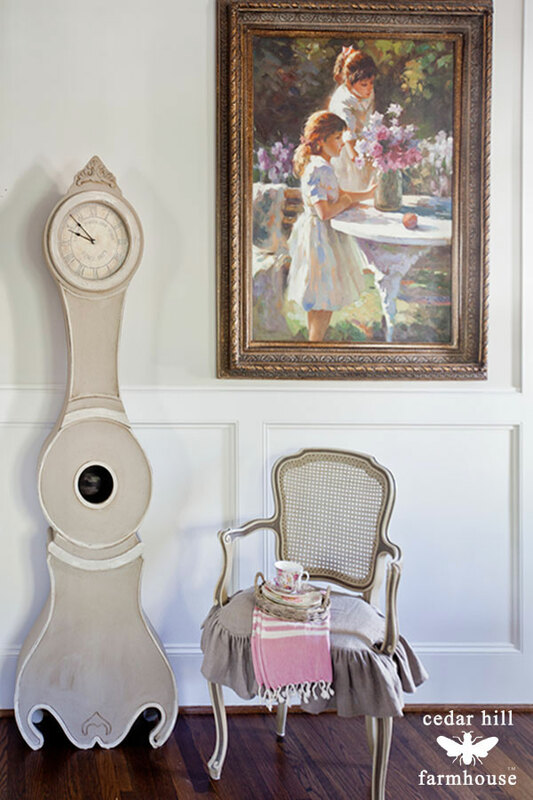 The clock looks perfect in the dining room. I like the idea of the bench. You can probably squeeze in one more person! I am planning on doing a lot in my dining room this year. Painting the walls, painting the table and chairs and hutch as well as recovering the seats of the chairs. My list is too long! Great tips – love the clock! I really need to freshen up my dining room. We only really use it a couple times a year which is such a shame! Painting added charm to its beauty!!! The bench is fabulous in the dining room. Creates what I deem “the waterfall” effect! I love layering rooms with the tallest pieces in the back, such as your sideboard. Then the dining room table followed by the bench. Keeps the eye flowing from ceiling to floor creating “the waterfall” effect. Like you, with your furniture moving. . .
is now residing in the Master Bedroom at the foot of the bed! It’s that ‘ol furniture scootin’ boogie I’m always doing here on the Prairie!!! 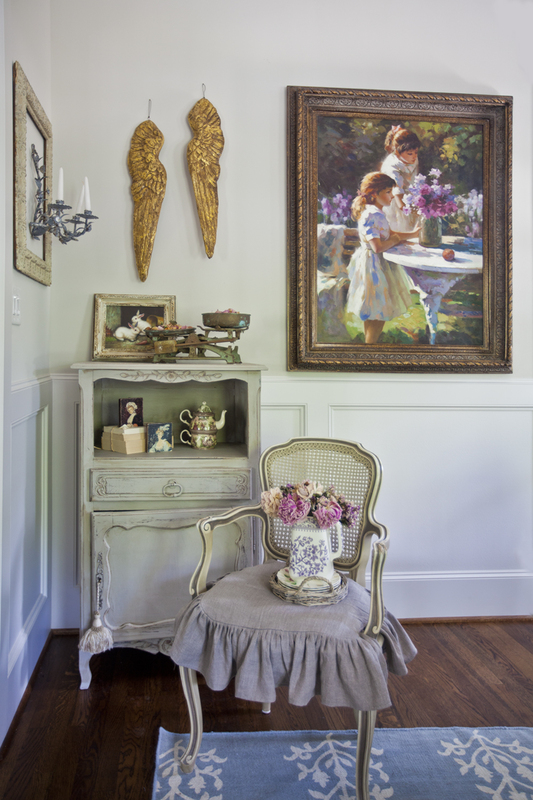 The elegant style of this room is showcased by its lightness and brightness, dear friend! Hello…looking for info on the lamps on the console in the dining room…they are wonderful! Do you sell them or know where I might find them or something similar? Thanks so much! We found the lamps! Took awhile!! 🙂 One question…about the painted shades. Is that primarily blue in the design or green? Thanks!